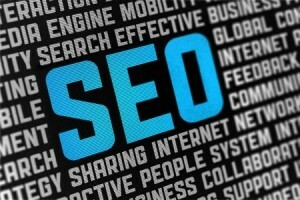 For years, thousands of search engine optimization specialists have put their own spin on what constitutes SEO and what is effective. In many respects, SEO is no different than other areas of study such as economics and quantum physics: while it would seem that there should be uniform, empirical answers to each question, there are often many schools of thought on each subject of discussion. Because of this, much information and advice from SEO days of yesteryear still persists on the internet – some of it accurate and valuable, while other parts of it may be outdated and detrimental. It is important to know when common SEO tactics may have a negative effect, so we have summarized the most common mistakes below to help you avoid the pitfalls. This is still an oft-given piece of advice to content creators and webmasters. In order to rank high in SERPs and gain authority in a niche, it is said, you must create keyword rich titles and headlines for your blog posts. Not only is this not the way to go about it, but an overzealous approach in this regard can negatively impact your site’s rankings with search engines. When you are pinging your blog‘s content to search engines, you should strive to create headlines and titles that capture the attention of your readers rather than titles that seek to capture the attention of search engines. Because of this, you should focus on action words that properly convey the message of your post or page’s content. We have been conditioned at this point to avoid the distribution of duplicate content, for fear that our search engine rankings will be penalized. There is substantial evidence that suggests some form of duplication can be achieved with no negative impact. If you have two or more sites that are connected or associated with each other, then you can in many cases duplicate content to reach all relevant audiences. You do not want to simply copy and paste verbatim, but many cases where 80-90% of the content from one blog has been successfully posted to another affiliated site with no negative search penalties. This is another area where all too many writers make mistakes. In an attempt to stuff keywords and create content that is optimized for search engines, many fail to provide a quality of content that encourages others to share it. A blog post should be informative and creative, compelling others to share the information found in its paragraphs with friends, acquaintances, co-workers and more. When you solely focus on pinging your blog to search engines, you fail to create the type of content that is both in demand and pleasing to search engines. If you create content that is widely shared and recommended, search engines will in turn pick up on these social signals and rank you accordingly. If you simply stuff post after post with multiple keywords that create content devoid of substance or creativity, then you might as well create no content at all.